Caterpillar Inc. is the world’s leading manufacturer of construction and mining equipment, diesel and natural gas engines, industrial gas turbines, and diesel-electric locomotives. The Cat brand is the cornerstone of the Caterpillar portfolio, representing products and services for customers working in Construction, Resource, and Energy & Transportation industries. Caterpillar relies on a distribution network of more than 220 Cat dealers in over 180 countries. Caterpillar is headquartered in Peoria, Illinois, and has regionally-based teams (Distribution Services Divisions) that work directly with Cat dealers to implement corporate strategies that help them improve their operations and grow their businesses. performance of their fleets and businesses, as well as empowers them to make smart decisions. But, dealer sales teams were used to selling iron. 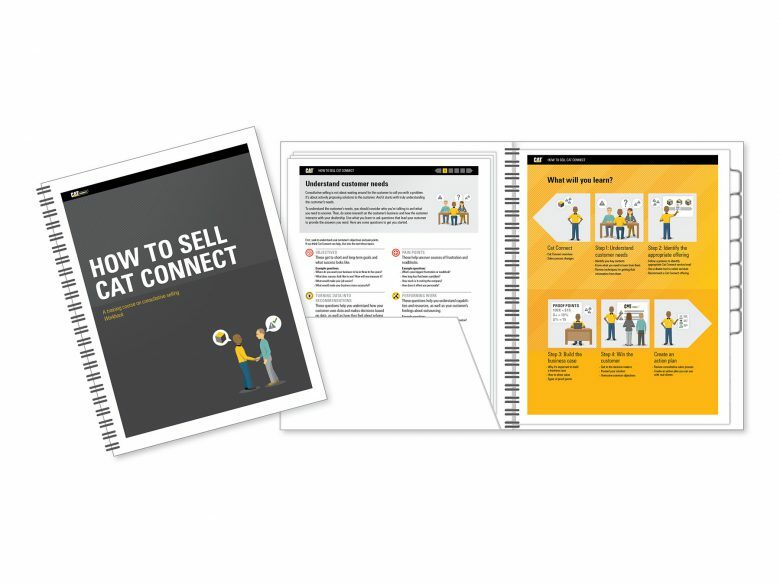 Cat Connect requires them to understand customers’ needs, recommend solutions, and prove ROI—a process they haven’t done before. 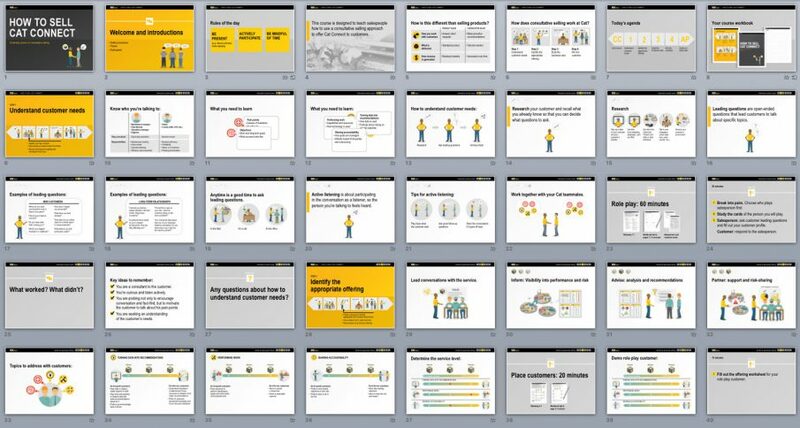 ThoughtForm created a two-day instructor-led training course with clear language, visual explanations, and interactive adult learning techniques to help Caterpillar teach dealer salespeople how to use a consultative selling approach with customers. 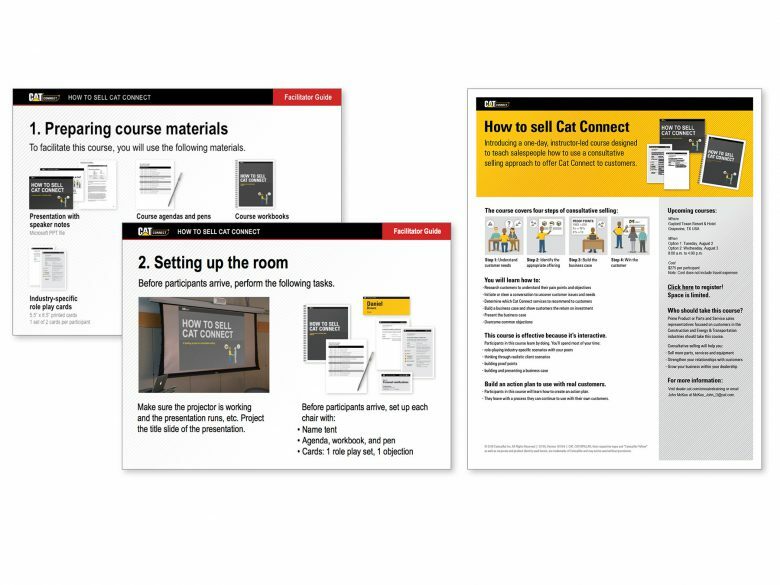 In deploying the course, Caterpillar brings consistency and accountability to the way Cat Connect is sold around the world. 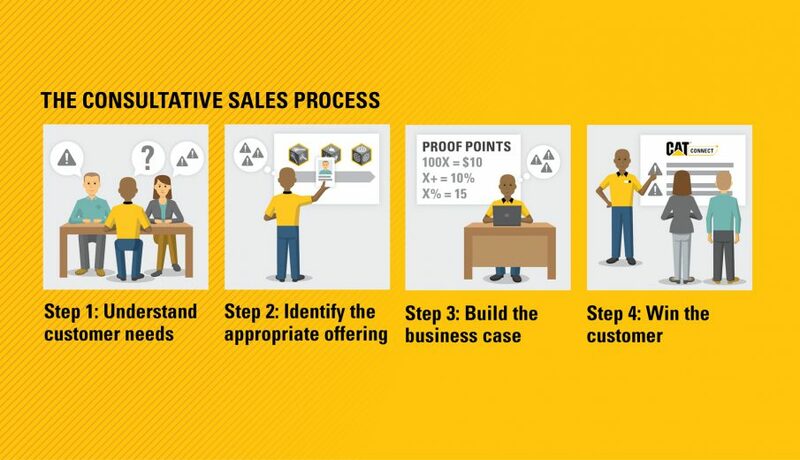 Developed a simple consultative sales process. 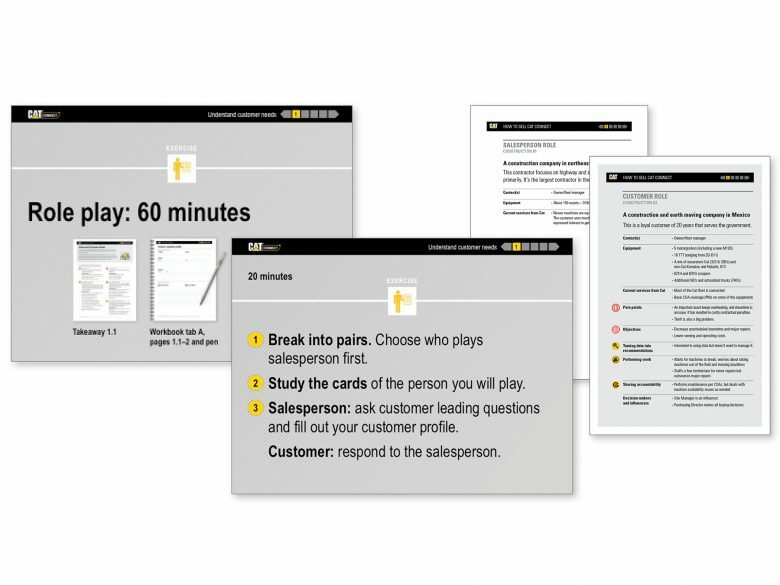 Designed interactive exercises that help salespeople practice what they learn. Packaged the course as a complete kit.